by foreign speaking, foreign-looking immigrants? ); very few plans have been laid out for how to better deal with this growing trend to build a stronger America, as opposed to incubating sentiments of ignorance and fear. …Is the common response to helping foreign immigrants integrate better into the community, get jobs, housing, benefits, and a foot on the ladder towards obtaining the much-coveted American dream. After all,succeeding in any country is hard if you don’t speak the language and,despite being a land made up of immigrants, Americans are as historically unsympathetic to foreign language speakers as they are disinterested in language learning. 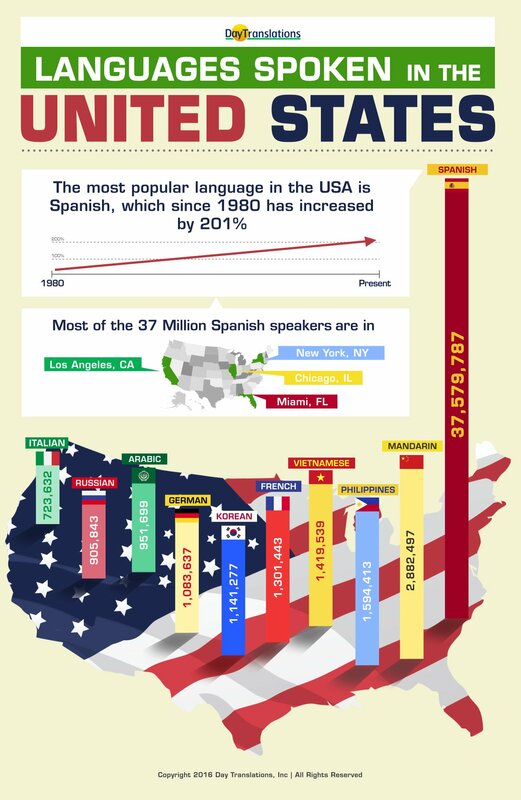 And Roosevelt was the last US President to be bilingual, despite the somewhat ironic fact that the United States is one of very few countries in the world that doesn’t have an official language. Say what? Yeah. More on that later. Now, over a century on, with the emergence of the European block, high speed communications, globalization, and dissolution of racial segregation, thankfully most people’s perspectives on polyglots have somewhat shifted. Today, speaking more than one language is something to be applauded, not ashamed of. It’s already been proven that learning a language makes you smarter (not just sound smarter, but actually, really demonstrably more intelligent), with the ability to make better decisions and expand your horizons. But if heightened intellectual capacity coupled with a paradigm shift in the ethnicity of the US people aren’t motivators enough, then here are 7 more reasons why you need to add learning a language to your to-do list today. Our days as the world’s number one superpower may be numbered, but the United States of America still boasts the biggest economy, greatest global influence, most highly trained military, and internationally adopted popular culture; from Universal Studios to Coca-Cola, the stars and stripes are everywhere. So, doesn’t it make you feel just a little bit guilty that our President doesn’t even know Spanish? Angela Merkel speaks at least three languages fluently. And so does Putin. Even North Korea’s leader Kim Jong-un (who doesn’t get out much) can make conversation in English and ask for directions in German besides his native tongue. It’s been over 70 years since the world’s most powerful leaders could understand a word of what’s being said about themoutside of home soil. And if we made it a requirement of the next President elect, that would conveniently send Trump out the revolving door. While you may still be trying to digest that statement from earlier, the fact is that the US has no official language at a Federal level. While politicians dating back to 1770 debated about it in Congress, it was widely considered undemocratic to pick one language over all the languages spoken by the immigrants living in the US. And while English (American English) is undisputedly the unofficial official language, seeing as there’s nothing in writing, who’s to say that won’t change in the years ahead? Well at least the European Union, where most people can speak multiple foreign languages. OK, so the Brits may lack behind in linguistic skills, but the excessively eloquent way with which they command their native tongue gives them a special status all of their own.If you’re tired of feeling left out of the smart people’s club, it’s time to start thinking languages. Come on, don’t deny that you’re envious of your little brother for taking a year out to teach English in South Korea, or your best friend studying a semester abroad in Buenos Aires. Maybe just a little, right? Working and living in different cultures is the perfect excuse to take a timeout from your hectic life full of work and responsibility. So go ahead and get lost in a different corner of the world and party like it’s 1969 again under guise of learning a language. As widely documented by many a TEFL teacher, exchange student, backpacker, and linguist enthusiast. Wanna hear real Italian? Go out with an Italian man, listen to the syllables roll of his tongue and bask in the delicious sweetness of real gelato – you won’t get that from reading books. Time’s moved on. Multilingualism is the new black. Being a polyglot helps to break down cultural borders, be more sympathetic towards different religious beliefs, and understand how to better treat foreign migrants around the world. So learn a language, soak up a culture, and let’s embrace the demographic changes to come, while cracking a joke or two of our own.